See you when we return from vacation on July 10th!! Come and enjoy another evening of quality musicianship and personal stories as we move into our 7th exciting installment of this very cool monthly program! 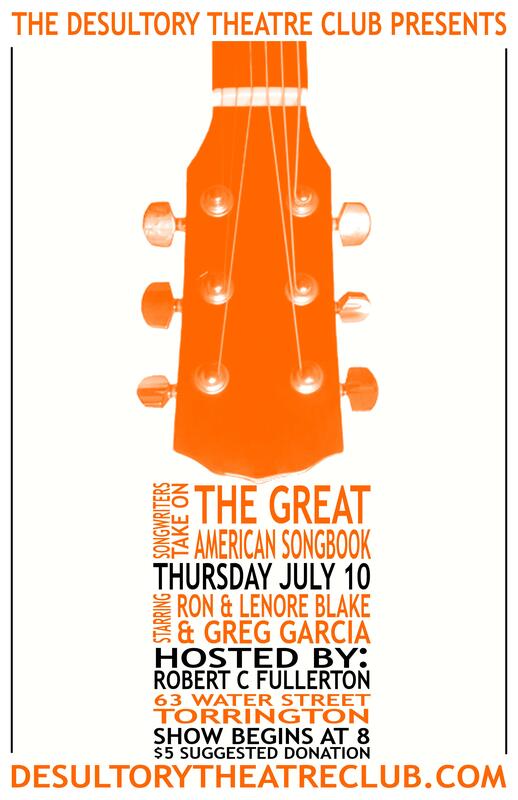 July 10th features Ron & Lenore Blake, Greg Garcia of The Kelvins and your host, Robert C Fullerton! The rules for each gig are simple: We search and find some of the best singer/songwriters that CT (and beyond) have to offer. Each artist will then perform 3 songs from the Great American Songbook (Ellington, Gershwin, Porter, and the like), and 2 originals all while telling a few stories in between to wrap it all together. A very nice evening indeed!! $5 suggested donation – BYOB! Doors open at 7:30 – Show begins at 8pm! “Songwriters take on the Great American Songbook!” is one in a series of events that we are calling “Theatre Club Thursdays.” Most of these Thursday night events will be community-based and a donation will be suggested. The DTC is looking to bring the community and arts together. 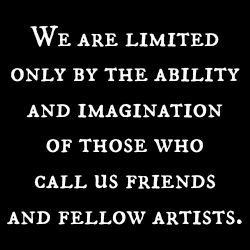 This entry was posted in Local Music and tagged Greg Garcia, music, Robert C Fullerton, Ron & Lenore Blake, Songwriters Take On. Bookmark the permalink. Also this weekend!! Another great show!! Sarah Barrios and Jennifer Hill & Co! Come see what may be our last show!!! Tracy Walton with Mic Nicosia and Hannah Fair!